Illinois does not supervise general contractors licenses at the state level. Nearly all construction licensure will be regulated at the city or county level, with the exception of an Illinois roofing license — which will be handled through the Illinois Department of Public Health. However, that is not to say that you do not need to be certified to perform construction work in Illinois. In most cases, your general contractor license requirements and application process will be determined by where you live, and, depending on your location, these requirements may differ. Before performing any general contracting work in Illinois, make sure to check with your local city, county, or jurisdiction. Here, we outline some general information about working and getting licensed as a contractor in the state of Illinois, then provide additional information about contractor licensing in Chicago, the largest city in Illinois. All Limited Partnerships, Limited Liability Partnerships, Limited Liability Corporations, Corporations, and Not-for-Profit business entities must register with the Illinois Secretary of State. Businesses that operate within Illinois are required to register for one or more tax-specific identification numbers, licenses or permits, including income tax withholding, sales and use tax (seller’s permit), and unemployment insurance tax. Contact the Illinois Department of Revenue for more information about business registration and your tax obligations. Businesses with employees are required to carry Workers’ Compensation Insurance coverage through a commercial carrier, on a self-insured basis, or through the Illinois Workers’ Compensation Commission. The Illinois Department of Financial and Professional Regulation provides a database to lookup and verify any professional license in Illinois by license number, business name, and personal name. 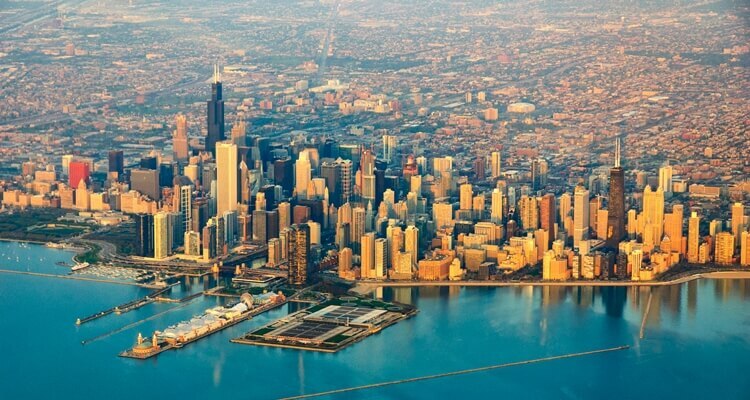 To get a better feel on what it takes to become a general contractor in Illinois, let’s take a look at getting your general contractors license in Chicago — the biggest city in Illinois. To become a general contractor in Chicago, you will also need to disclose your business structure. Naturally, this involves acquiring a business license through the City of Chicago Business Affairs and Consumer Protection Department. Provide a description of the work and services you aim to perform. Specify the classification of license you are applying for. Clarify your business structure and provide additional company information. Identify and verify by affidavit that the applicant or member of your business entity is financially stable. Show proof of insurance with the City of Chicago as additionally insured. It is vital that your application contains all the above, or it will be returned to the applicant, delaying your licensing process. Once submitted, your application will be reviewed and accepted or rejected within 28 days. If you are approved, your license will be mailed to your business address within ten business days. Who Needs a General Contractors License in Chicago? Class A License – No limitation to any single contract project value. Class B License – For construction of any single contract project value not to surpass $10,000,000. Class C License – For construction of any single contract project value not to surpass $5,000,000. Class D License – For construction of any single contract project value not to surpass $2,000,000. Class E License – For construction of any single contract project value not to surpass $500,000. Part of your Chicago trade license application may include passing an exam. Before bidding on or performing any construction work, be certain that you are licensed to do so within the parameters set forth by the Municipal Code. Specialty trade licensing will require passing an exam. The City of Chicago cooperates with Continental Testing Centers to conduct all trade licensure exams. Visit the Continental Testing Centers’ website for more information on scheduling, testing locations, and examination fees. The City of Chicago will have its own set of business license requirements. Sole Proprietors and General Partnerships may register through the Chicago Business License Application System, under the Business Affairs and Consumer Protection Division. If you are operating under an assumed business name or Doing Business As, you will register through the Cook County Clerk’s Office.